Chantalle competed for St. Francis College for one year that is where she holds the steeple chase school record. She then transferred to the University of Tampa where she competed for 3 years in both cross country and track. Chantalle competed at D2 cross country nationals 3 times and made the All Conference and All Region team in cross country 3 times. She currently works for Wise Advise + Assist Team as a marketing PR coordinator. 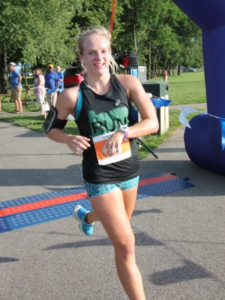 Her current goals in running are to PR in the 5k, 10k, and half marathon.